When Charlotte, my mom, was not quite six, the family uprooted and moved to Zagreb. Though he was a civil engineer with advanced degrees from the University of Vienna, Papa found that his Jewishness impeded employment; he had turned to sales and opened a new territory in Croatia, representing several European textile manufacturers. He subsequently opened a wholesale store and a textile mill, and he began to prosper. Life seemed good. 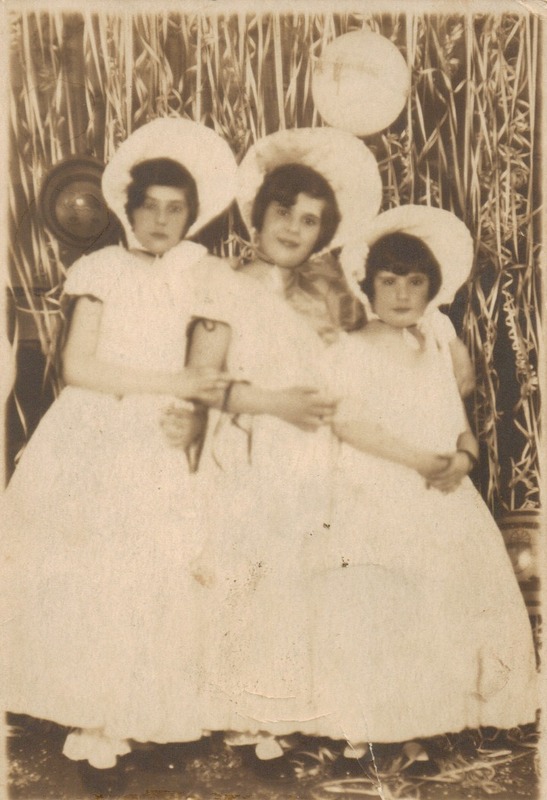 When comparing herself to her sisters, Mama (center) described herself as oversized and clumsy, a boyish blunderer; but none of the photographs from the time attest to that image. Charlotte considered herself grotesquely large and healthy in contrast to her sisters. Thea had always been wan and delicate, prone to illness; now there was Ruth, two years Mom’s junior, who was so sickly, as an infant she had required a transfusion, which she got directly from their father, who lay on a gurney, connected to her by the tubing that carried his blood the short distance to her little thigh. Ruth officially took over as Papa’s darling, so Charlotte studied cello and played team sports in order to protect her position as the son her father didn’t have. My grandmother was undone, and her health deteriorated in multiple ways, leading to conditions that eventually addicted her first to morphine and then to alcohol. “Papa went a little berserk,” Mom would mutter, as though admitting it were tantamount to denunciation. He became ultra-religious and drove his family to near insanity with his obsessive adherence to details he hardly believed in. Charlotte became more committed to her cello; though she longed to dance, she couldn’t — it was a realm that belonged to Thea, and besides, she believed that no one would “think of giving a roly-poly girl ballet lessons.” But she was a talented musician and studied religiously, eventually performing often in concerts and recitals.